Each of my photographs come in a clear protective sleeve and will be signed in the corner by me. This 8 x 10 photograph comes in a plain white mat and is all ready for your favorite 11 x 14 frame. 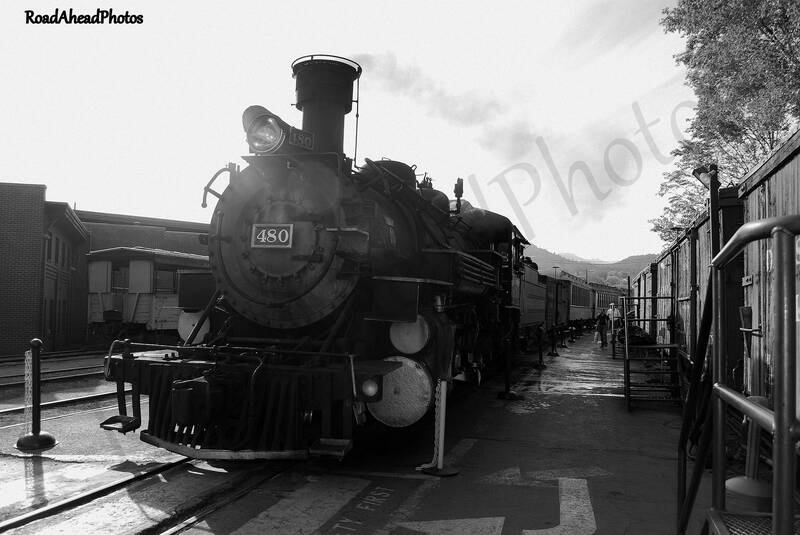 This black and white photograph of a steam engine train was taken by me in Durango, Colorado. A trip on the Durango/Silverton Narrow Gauge Railroad is something I highly recommend! All images are copyrighted by RoadAheadPhotos. All rights are reserved. This shop is amazing! My package was lost (USPS) and she quickly redid the 50+ ornaments on her own initiative and sent them express mail so they would arrive in time for my party. She offers above and beyond customer service! And the ornaments were beautiful (this is my third year of ordering them). Kudos to Road Ahead Photos! I highly recommend them. Arrived quickly and is very nicely done. I cannot wait to send. Lovely holiday card for a baking friend. 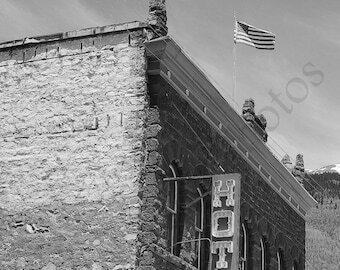 Road Ahead Photos accepts payments through Pay Pal, Credit Cards and Etsy GIft Cards. Due to new laws currently passed in the State of New Mexico, I have to charge tax to anyone who buys from my shop. In order to meet these requirements I have added my county tax rate into the price of each item in my shop. If we come to the decision of a refund I can do that once you ship the item back to me. Items must be returned no later than 14 days. Customer must pay for the price of the return shipping. I will ship to the address given to me on Etsy. Items will usually be shipped within 48 hours and come with a delivery confirmation. Custom Orders may take a bit longer for shipping depending on what you order. As for large orders paid with Esty Payment I will ship those when the payment has cleared. If a large order of 15 or more items is placed by a customer my policy is to immediately contact the customer to confirm that this wasn't placed by error. I will not ship a large order out without confirmation from the customer. I will send a few messages through Etsy in order to confirm. If I do not hear back from the customer in 3-5 days I will assume a large order is fraud and I will cancel the order. Currently I only ship within the United States. All matted Photos come in Color, Sepia and Black and White. If you see a photo you like but want it in another color or another size please let me know and I'd love do a special order just for you! ALL images are the property of Road Ahead Photos. Using them in any way or form without consent is a violation of copyright laws.